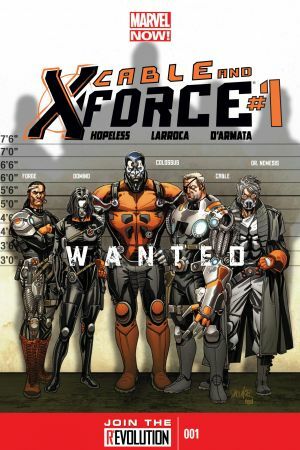 Meet Nathan Summers, time-traveling soldier and original leader of the mutant commando team, X-Force! 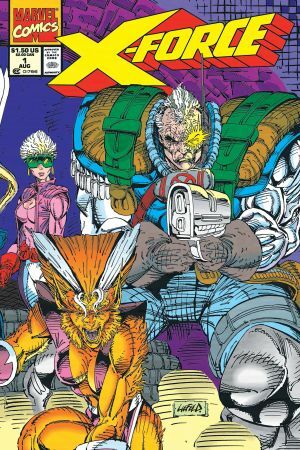 The son of Cyclops and a clone of Jean Grey, Cable was raised by dissidents of Apocalypse in a far-flung future. He has limitless telepathic power and is always armed to the teeth – but his great weakness is the techno-organic virus inside of him that he must constantly contain. 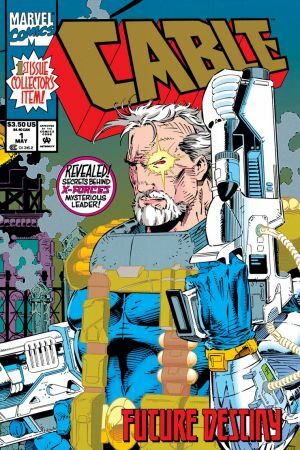 Cable’s earliest history is in this mini-series. 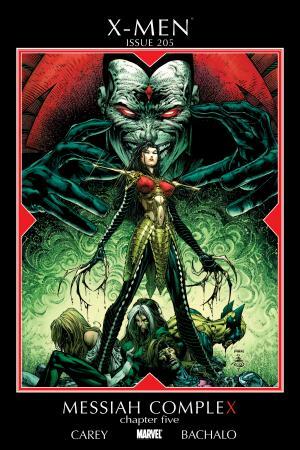 Shortly after his engineered birth by Mister Sinister, an infant Cable is infected with a techno-organic virus in order to cut short his legacy as Apocalypse’s killer. Here, Mother Askani (actually Cable’s half-sister Rachel Summers) transports Jean and Cyclops to the Age of Apocalypse, so that the two may groom Nathan as a protector of his timeline. In his first full appearance, the metallic armed maverick takes on the terroristic Mutant Liberation Front, led by his ‘spare heir’ clone, Stryfe! By launching himself to the present, an adult Cable is now in the same timeline as his infant self. Madness! 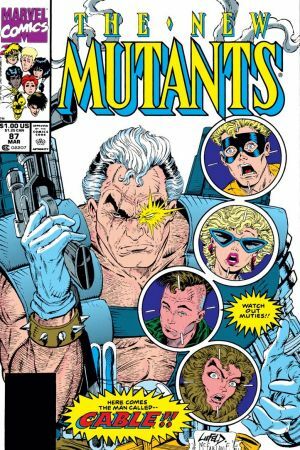 The kid gloves come off when the de-facto leader of the New Mutants trains Xavier’s youngest class to be a task force against Stryfe’s Mutant Liberation Front. Brace yourself for blazing guns, cyborgs, and artillery pouches galore – this is the 90s! Check out Cable’s starring event, available as a two-part Discover! 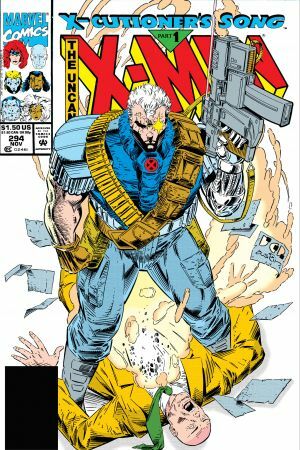 Before his galactic battle against the ever-powerful Stryfe, Cable fulfills his role as the ‘Man of Tomorrow’…by attempting to assassinate Professor X! Apocalypse and Sinister enter the fray, exploiting the X-Men’s weakness in their fragmented state. The Askani'son opens fire in his own series! 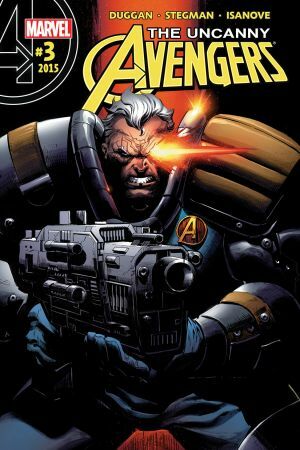 Cable returns to his future present just in time, as his team of the Clan Chosen are on the losing side of a battle with the Canaanites, Apocalypse-sympathizers. Introducing Cable’s wife Jenskot and their son Tyler Dayspring! The Odd Couple in action! 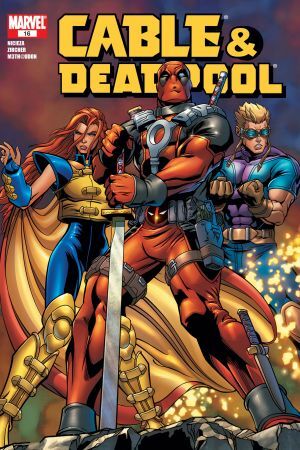 Cable and Deadpool are front and center in this long running series. 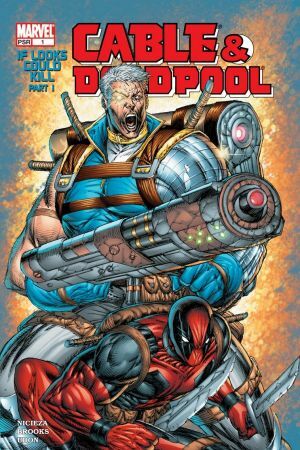 Deadpool’s been hired to steal a bioweapon for a cult – and Cable’s not having it! Preacher Cable, Techno-Virus Ravaged Cable, Baby Cable…? Deadpool is tripping through alternate timelines in search of his favorite M.I.A. buddy. Meet the Cables of the multiverse you never knew existed! 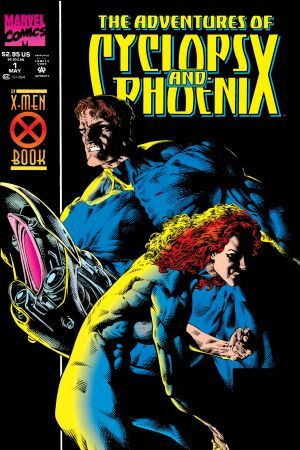 Cannonball and Siryn of X-Force guest-star. Cable becomes guardian to the first mutant baby born since M-Day. Following a prophecy that this infant is the ‘Mutant Messiah’, Cable names the child “Hope” and adopts her as his daughter. But there are conflicting accounts of Hope’s actual destiny, with an opposing faction led by Bishop claiming she’s the ‘Mutant Anti-Christ’. Read Messiah Complex in full, available as a Discover! 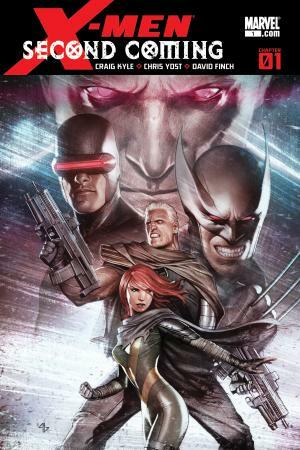 Cyclops sends X-Force into the future to retrieve Cable and the mutant baby known as Hope. A small hiccup? The kill crew has exactly 32.5 hours to accomplish this mission before their time-travel capsules explode and kill them. Another hiccup? Stryfe is in charge of this future, and he’s got Bishop on his side. This is it. After raising Hope in his own future, Cable returns with the Mutant Messiah so that she can lead mutantkind into a new age. But a Technarch-enhanced Bastion and the Purifiers launch an eradication effort against Hope – and all of the X-teams are dragged under. Will the lives lost be worth it? Read the Second Coming Discover! 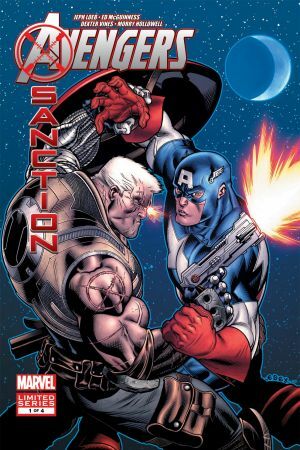 Closing in on death, an end-of-his-rope Cable is reborn with a singular mission – to eliminate the Avengers. But are Earth’s Mightiest truly to blame for the future fate of Hope Summers? Stay tuned for a major confrontation with Spider-Man AND Wolverine…plus the reveal of the next Phoenix! Cable. Domino. Colossus. Dr. Nemesis. Forge. In combined life experience, this crew has seen it all. 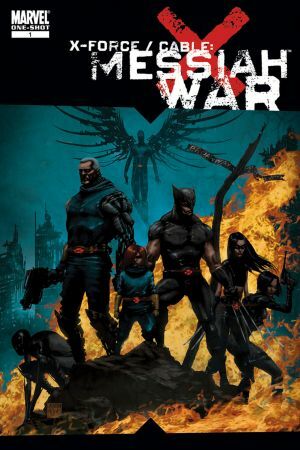 But after a rocky start (being discovered at the site of a mass murder by the Uncanny Avengers), the new kill crew is forced to go on the lam and face the growing backlash of anti-mutant sentiment. But first – Cable gets a cool bionic upgrade! 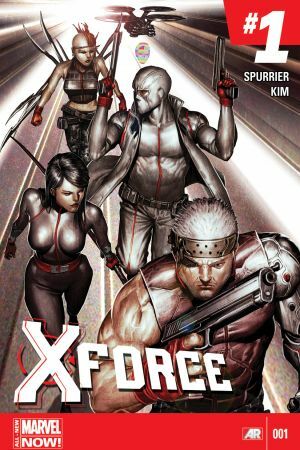 In this stylish series, Cable, Marrow, Fantomex and Psylocke are recruited to get their hands dirty with off-the-record missions too ‘black ops’ for the X-Men. First on the agenda? Getting to the bottom of the ‘Alexandria Incident’, a terrorist act committed by a highly combustible mutant. He’s back...from the future! Cable returns from the year 2087 to ensure that the Unity Squad doesn’t botch their current mission. The Inhuman Shredded Man has covered Boston in his sentient toxic plants – just what Cable claims has taken over the entire future planet!